They are driven into the Mirrored City by the quest for very special sacrifices for the Chaos Gods. The troop around war shaman Theddra Skull-scryer roams the dark alleys of Shadespire and poses - not only for Sigmar's golden boys - as an unusually flexible, unpleasant opponent. 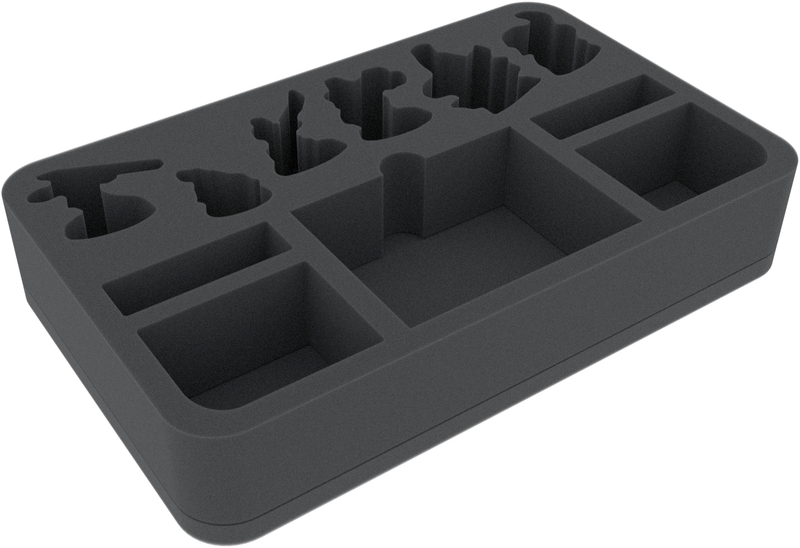 To make sure the wild warband gets well protected and battle-ready to the next fight, we have designed this Half-Size foam tray for you. 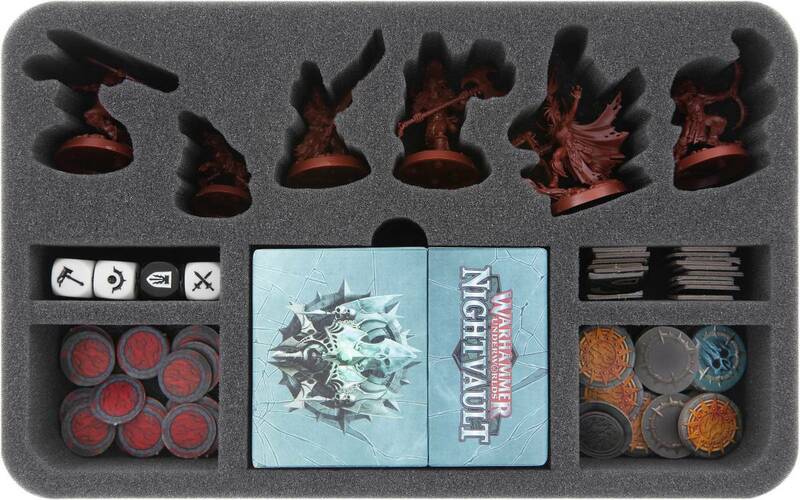 A total of 11 compartments keep your chaos-devoted barbarian troop in order. The warriors get 6 of them. Each of these compartments is individually tailored to the miniatures. Completely surrounded by foam, the models are best prepared for transport. Jagathra's javelin is just as safe from damage as Theddra's headgear. The figures stay where they are and the colors of painted miniatures are protected from scratches and abrasion. The 5 compartments below are reserved for the game material. One compartment serves as storage for the cards. It is provided with a finger-wide recess so that you can get the deck out more easily. Up to 40 cards fit in here, of course also with sleeves. Dice and tokens can be sorted into the remaining four compartments. Miniatures and game accessories are neatly stowed away and the Darkoath can be transported safely to their next victims.